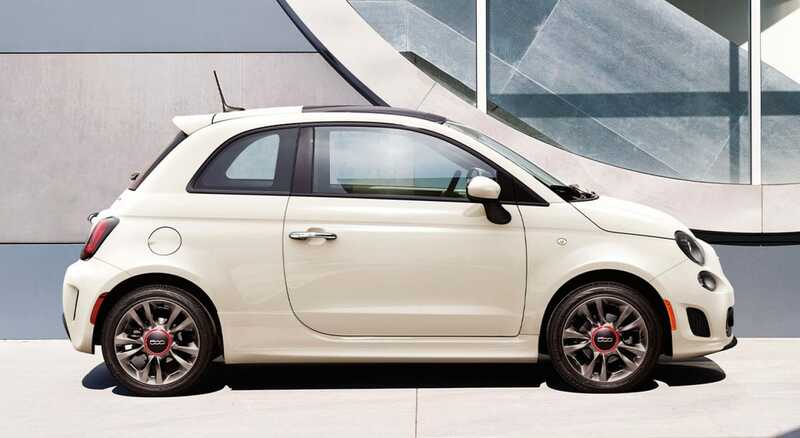 We saw the first rendition of the Fiat 500 back in 2007 and since then the vehicle has been sold in more than 110 countries and won over 80 international awards. The global sensation that is the Fiat 500 is back again for the 2019 model year. Standard turbo engines, performance braking system, performance suspension, and a spectacularly vintage 1957 Edition package are new for the 2019 model year. Keep reading to learn why people love the Fiat 500 so much. 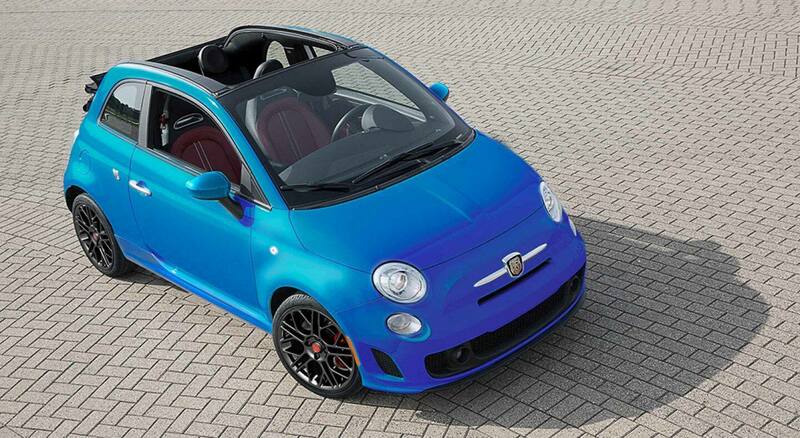 The 2019 Fiat 500 comes in Pop, Lounge, and Abarth trims. All models are available as a Cabrio which delivers open-air freedom. 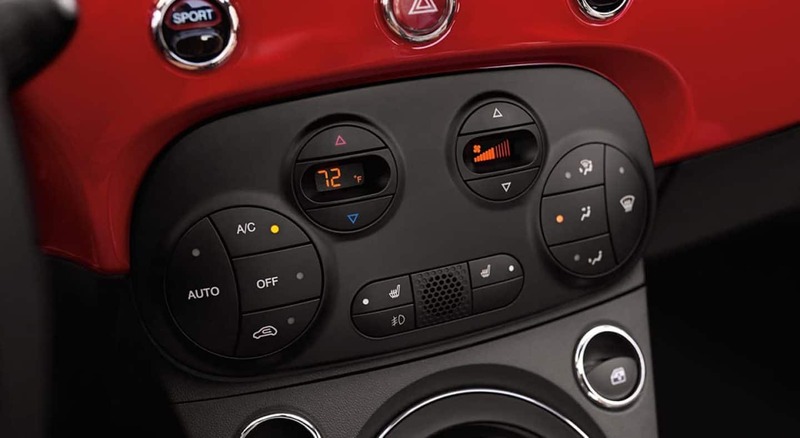 The Fiat 500c's power-operated cloth top can retract up to the rear spoiler during speeds up to 60 miles per hour.At speeds up to 50 miles per hour the roof will fold all the way open and tuck neatly behind the rear head restraints when you press the roof button again. The base Pop model has Bluetooth, voice commands, and a 5-inch Uconnect touchscreen, backup camera, heated mirrors, a leather-wrapped steering wheel, full power accessories, keyless locking and unlocking, hill start assist, and cloth upholstery. The luxury-oriented Lounge trim adds heated front seats, leather upholstery, rear parking sensors, an auto-dimming rearview mirror, a fixed glass roof, and chrome exterior trim. 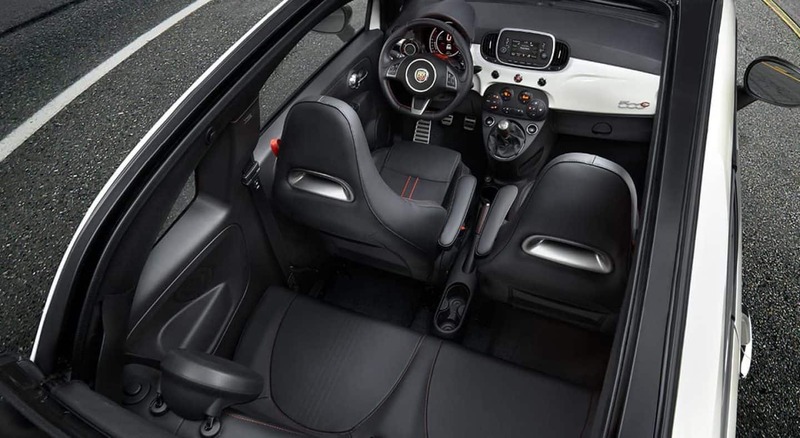 The performance-focused Abarth model comes equipped with a rear spoiler, sportier suspension tuning, performance exhaust system, upgraded brakes with red-painted calipers, premium cloth upholstery,a sport steering wheel, and a leather-wrapped shift knob. An optional 1957 Edition package adds a vintage flair with special colors and badging. How powerful is the Fiat 500? Depending on which model of the 2019 Fiat 500 will decide which of the two engines you'll get. The Pop and Lounge models are powered by a 1.4-liter MultiAir Turbo engine making 135 horsepower and 150 lb-ft of torque. 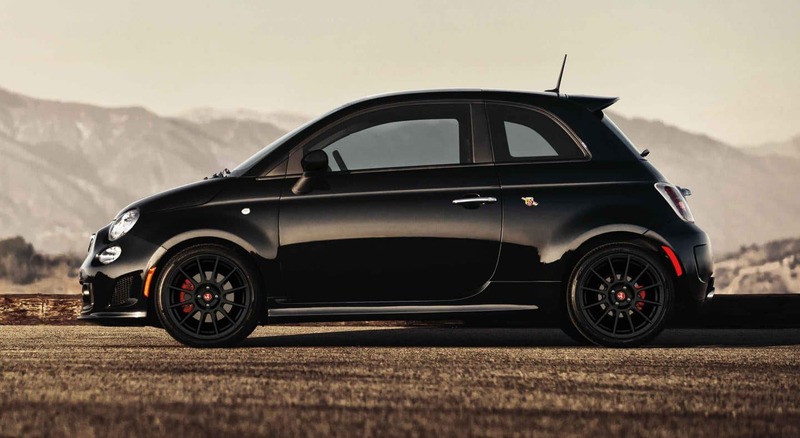 The performance ready Abarth comes with a 1.4-liter MultiAir Turbo that makes 160 horsepower and 183 lb-ft of torque. The Abarth's MultiAir Turbo engine comes with an Abarth-designed fresh-air intake system with high-flow air filter and smooth-flowing plumping along with an Abarth-designed concentric "double-tip" dual-exhaust system that delivers an Abarth-tuned sound. 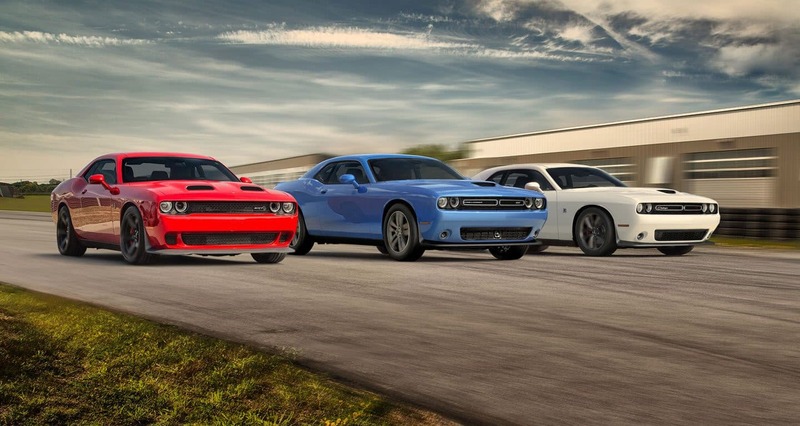 All models come standard with a five-speed manual transmission with an option for a six-speed automatic transmission. Is the Fiat 500 safe? 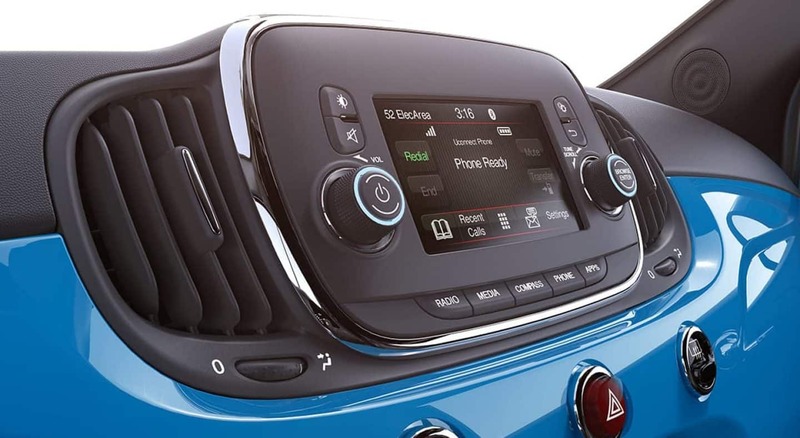 The 2019 Fiat 500 has more than 50 standard and available safety and security features to help keep you safe while you're cruising around the city streets. 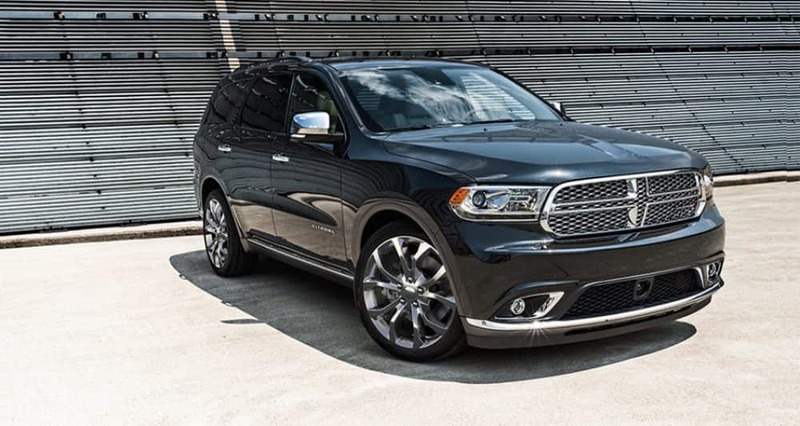 Some of the safety features included are a steel safety frame, seven airbags, anti-lock brakes, electronic stability control, tire pressure monitoring system, ParkSense rear park assist, and ParkView rear back up camera. 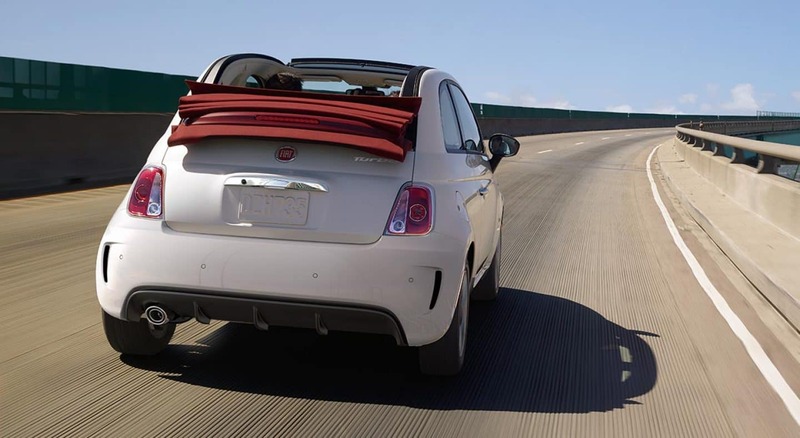 The ParkSense rear park assist system uses sensors to detect objects behind your Fiat and alerts you with a visual and audible warning. 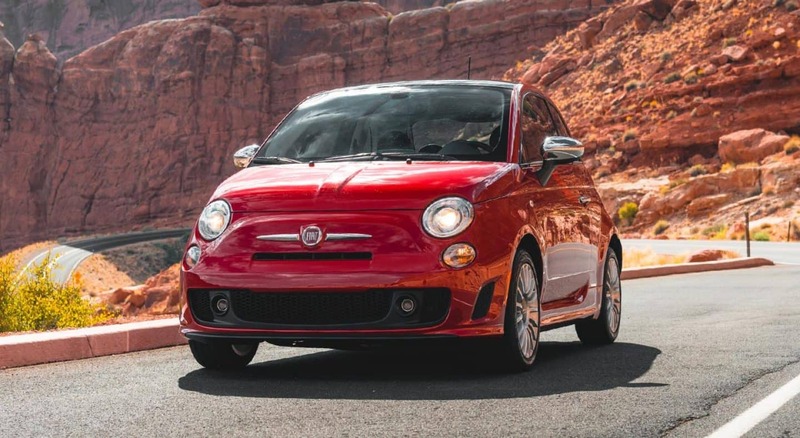 The 2019 Fiat 500 is an extraordinary example of Italian design. 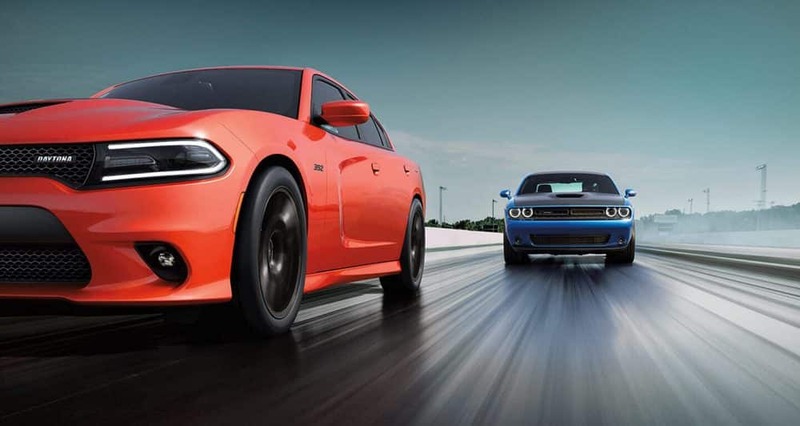 The performance suspension and handling lead to a fun drive while the interior is luxurious and comfortable. 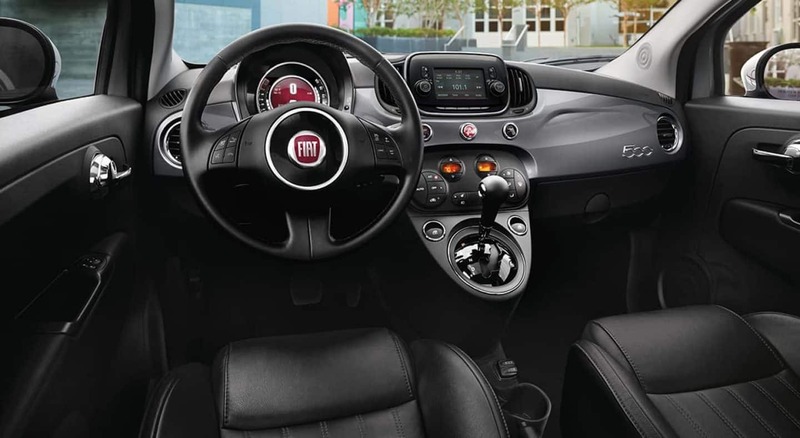 Contact us today to schedule a test drive and find out why the 2019 Fiat 500 is so fun to drive.